Easy Living, own a single level town home in the highly desirable Gazebos in Grass Valley. 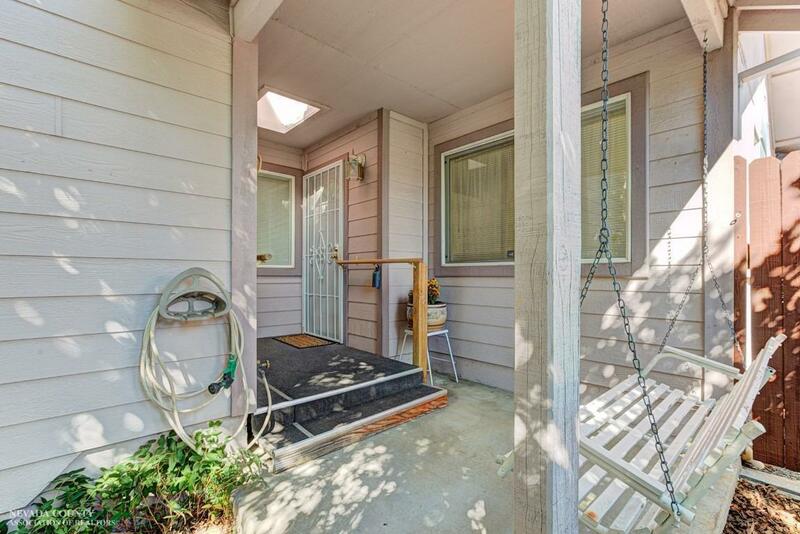 This home features a gated front porch area and fenced backyard patio, with picnic and seating area close by. The home has a spacious living room with three sided fireplace and dining area. The kitchen has a breakfast bar, plenty of counter space, cabinets and refrigerator. The master bedroom is in the back of the home with 2 closets and access to the backyard. There are 2 sinks in the master bath and a shower. The laundry is conveniently located between the two bedrooms. The hall bath features a tub/shower combo. There is an attached 2 car garage w/ ramp to house, there is also a ramp to the front door both ramps can be removed if buyer prefers. Pest clearance and roof inspection on file. Shopping and restaurants are right around the corner. Great location!! Incredibly low HOA fees make this a wise purchase! !